As we look at the fast approaching new year , let's take a look at some church web design trends for 2018. It may be time to think about having your church website redesigned to keep up with the current look and trends. Here are five of the main design elements for 2018. The look for 2018 is uncluttered, utilized a lot of white space. Gone are the days of websites having information and ads all over the page. Each page of a website should have a clear purpose and nothing should distract your web visitors from knowing that purpose and taking the desired call to action of the page. A call to action of a page might include listening to a sermon, registering for an upcoming event or signing up to receive church news/updates. White space, as mentioned above, is space on a page left empty without any images or text on it. It can be any color (not just white) but is free of any design elements. According to Treehouse, whit4e space can create an elegant look to a page and lead web visitors' attention to particular elements on the page. The simple uncluttered trend also gives way to shorter homepage looks. At one time, "mile=long" homepages were in but not anymore. Pages that go on and on tend to lose their reader's attention, so shorter and to the point are gaining popularity. The words below are taken from our site and have white space around them. Your eyes are automatically drawn to the words when there is nothing else to distract from them. Not everyone gets as excited over typography as we do! According to Creative Bloq, typography is the art of arranging type. Typography refers to the fonts that are used, the size of the fonts, line spacing, etc. I notice fonts! I like different kinds of fonts, not always the standard Arial or Times New Roman which were often used in the past on websites. Today, there is a huge selection of fonts which makes it possible to select fonts that assist in creating the feeling you want a copy to have. Typography is going to play a bigger role in web design in 2018. Headings will be larger and bolder. 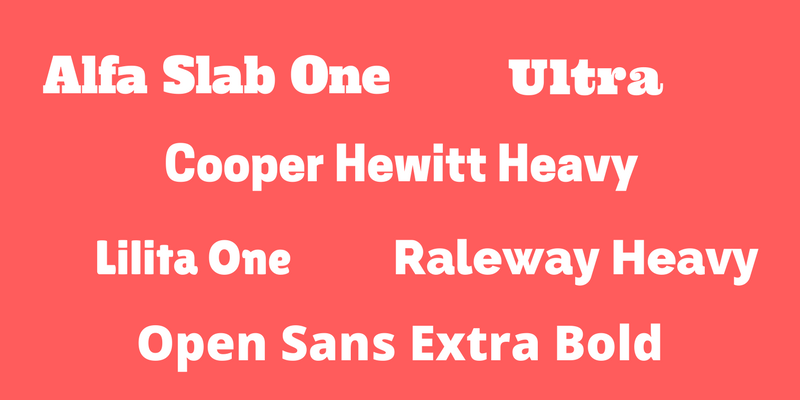 There are many fonts that fall into this category, such as Ultra or Alfa Slab One. Just make sure the text is very readable; sometimes when a font gets "chunky" it blends in together and might be harder to read. No matter what fonts you go, always keep your readers in mind and make your text copy legible and readable - easy on the eyes and clearly understood. As identity theft becomes a bigger problem, website security becomes more important. Right now, it is required that you have an SSL certificate your if you take payment information directly from your website. SSL stands for secure sockets layer and the certificate encrypts and information exchange between your browser and the web server. 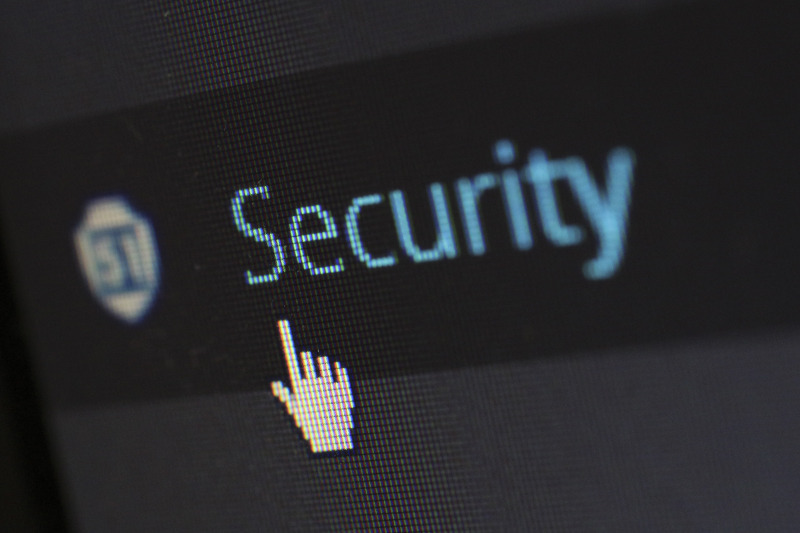 If your church takes online donations using a form which is connected to Paypal or Stripe, you will need an SSL certificate in order to collect online payments. The use of bright bold colors will be on the rise. You will have to determine if this is the right look for your visitors. 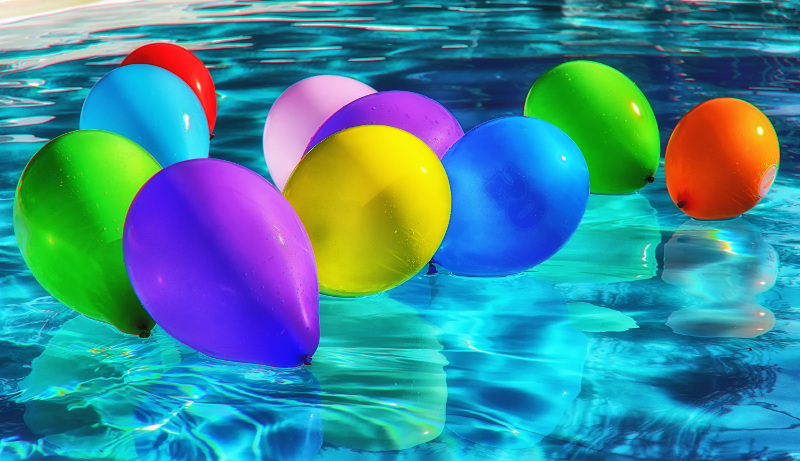 While bright red or blue may be striking, your web visitors may prefer or more neutral color scheme. Don't just go with something because it's the latest trend. Make sure it fits with the people who you want to attract to your website. While mobile friendly websites have been gaining increasing importance over the last few years, it will be pretty much essential in 2018. In 2016, Google started experimenting with mobile first indexing meaning that Google will eventually mainly use the mobile version of a site’s content to rank pages from that site. Why is this important? This makes it imperative that all of your website pages look right on a mobile device. 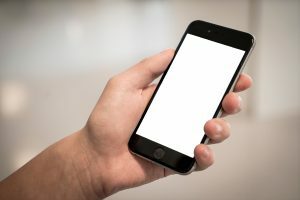 If your website is not mobile responsive, information and images will get cut off when someone looks at your site on their phone or tablet. This is not a good experience for your website visitors. According to Search Engine Land, people are five times more likely to leave a site if it isn’t mobile-friendly. Obviously, you want your web visitors to remain on your site until they get the information they are looking for. So, bottom line, make sure your website is mobile responsive. These 5 church web design trends for 2018 can help you make your website more visitor friendly and accomplish the goal - to bring them to visit your church.